Thomas Mackenzie’s Imperial distillery made way for Chivas Brothers’ contemporary yet historically-sympathetic Dalmunach. 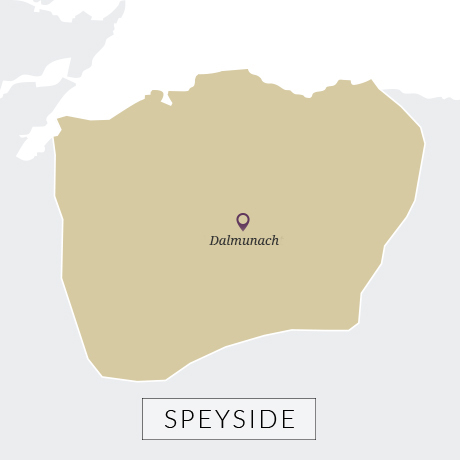 Named for the nearby pool in the River Spey, Dalmunach is one of Scotland’s newest and most contemporary distilleries. Built by owner Pernod Ricard (Chivas Brothers) in 2014, the large yet environmentally sympathetic building occupies the former site of the Imperial Distillery which was demolished in 2013. Thomas Mackenzie, a co-owner of Daluaine and Talisker, founded the Imperial Distillery in 1897 on the banks of the River Spey in Carron, Moray. A single malt distillery, almost all of Imperial’s liquid was siphoned off for blends such as Teacher’s, Ballantine’s and Old Smuggler. 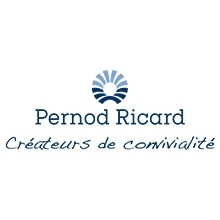 During its 100-year lifetime, the distillery changed hands and waded through sporadic periods of inactivity several times, eventually falling into the lap of Pernod Ricard following its takeover of Allied Domecq in 2005. By this time the distillery was completely inactive. By 2013 the Scotch whisky industry was experiencing a period of booming demand for both blends and single malts, prompting hoards of companies to invest in either expanding capacity at their existing distilleries or building a new site altogether. For Chivas Brothers, the whisky and gin arm of French drinks group Pernod Ricard, a new distillery with the capability of supplying single malt whisky for its leading blends Chivas Regal, Ballantine’s and Royal Salute, was a no-brainer. With Imperial laying silent and in need of a hefty – and costly – refurbishment, Chivas took the decision to demolish the site and build a new super distillery in its place. 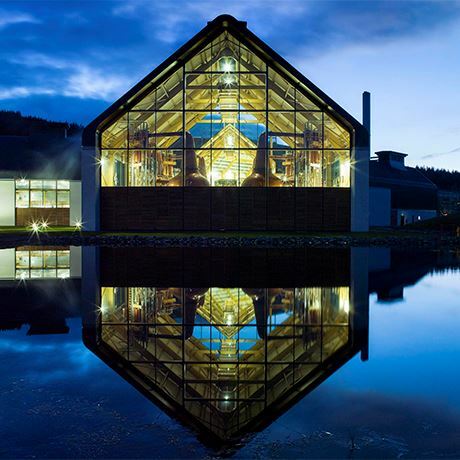 The build of Dalmunach was overseen by former Chivas Brothers production director Douglas Cruickshank, who rather aptly began his career in whisky at the age of 15 at the Imperial Distillery. Keen to preserve some of the character of his first place of work, Cruickshank ensured several of Imperial’s key design features were inherited by Dalmunach. Aberdeen red brick from the original mill building has been recycled for the new site’s entranceway, while wood from the distillery’s original washbacks has been used to clad the walls of the new tun room. The building itself has even been designed to complement the surrounding landscape and traditional architectural style of the region. 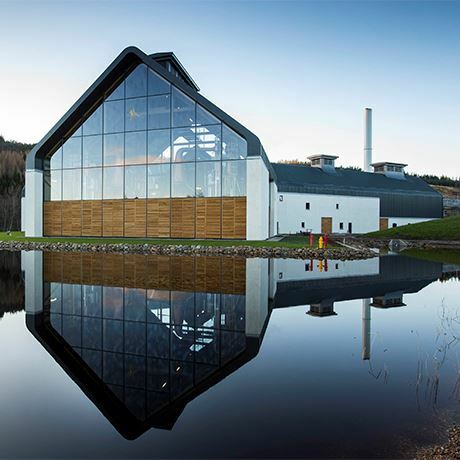 Of course the innovative Pernod Ricard was keen to pimp up Dalmunach with the latest tech, which includes heat recovery technology, 16 stainless steel washbacks, and eight stills arranged untraditionally in a circle to 'provide a unique aesthetic for the future'. Hiram Walker’s Glenburgie produced a different style of whisky in Lomond stills. An experimental peated Speyside malt produced at Glen Keith distillery on Speyside in the 1970s. Single malt whisky produced on Lomond stills at Miltonduff distillery, near Elgin. A core standard blend in the Chivas Brother’s portfolio, especially popular in Asia.